This is my blog on human resource management. Strategic human resource management is now a very important field in management studies. Please read the blog in from beginning. Dealing with people is digging gold. To get an ounce of gold, one may have to move tons of dirt. At the time of digging the dirt is not looked into, the aim is only gold. Even a stopped clock is right twice a day. The HR people need to become “good finders”. That is finders of good things. Looking for positive things need not mean overlooking faults. Negative people always criticize. To build a positive attitude, learn and practice the following phrase “DO IT NOW". A completed work is fulfilling and energizing whereas the incomplete work drains energy like a leak from a tank. An organization should make the best of now and utilize the present to the fullest. Never leave till tomorrow which one can do today. Education doesn't mean what one get from colleges like information and statistics. Education that builds fundamental traits of character such as honesty, compassion, courage, persistence and responsibility is absolutely essential. A morally educated person will be lot better equipped to move up in life or succeed than a morally bankrupt person with excellent academic qualifications. True education is training of both the head and the heart. Knowledge is piling up facts and wisdom is simplifying it. Education doesn't mean good judgment. A person can and will be successful with or without formal education if he has character, commitment, conviction, courtesy & courage. Ability without the right attitude is a waste. Continuance of the positive education leads to positive thinking. Positive thinkers are the winners who recognize their limitations but focus on their strengths. The management should make each and every employee a winner for organizational success. The winners will :Always have a program, Communicate " let me do it for you", sees an answer for every problem, tell " it may be difficult but it is possible", admit mistakes, make commitments, use " I must do something", always part of the team, see the gain where as the loser sees the pain, see the possibilities and the potential, use hard arguments but uses soft words, stand firm on values but compromise with petty things, make it happen, plan and prepare to win. 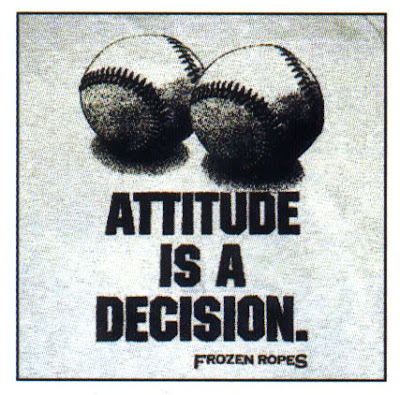 Attitude starts at the top and spreads throughout the organization, good or bad. Bosses coming early and leave late set an example that is productive and respected, and also fosters better work ethics and commitments. Bosses who bend over backwards to honor their customers, who will do anything to please them, demonstrate by living their ethics demonstrating it to his employees. Thus, employees will act similarly towards the customers, doing the same things, bending over backwards to satisfy the customers’ needs and desires, going the extra mile, doing the unexpected. Bosses that treat the employees with respect and consideration, getting to know their personal lives and families and demonstrating care and concern, will not only get the same in return but their actions will promote the same good behavior among employees and with customers. Employees will enjoy their work experience more, performing more effectively, and the customers will be happy. There is a knowledge gap is in the area of how to measure and influence employee attitudes. There are a number of possible methods for measuring employee attitudes, such as conducting focus groups, interviewing employees, or carrying out employee surveys. Of these methods, the most accurate measure is a well-constructed employee attitude survey. To positively influence employee attitudes, understanding of some of the points already discussed is important. In addition, knowledge of important considerations for analyzing employee survey results is essential for taking appropriate steps to improve attitudes. Survey feedback discussion meetings can be used as a means for acting on employee attitude surveys. It is an important way to support action. Personal transformation programs help in the development of highly effective, quality people. Reiki, yoga, sudarshan kriya and hypnotherapy are some of the systems gaining popularity in corporate circles. Interpersonal communication skills are the backbone of success for any organization. Employees should develop listening skills, understand the basics of body language and learn memory-enhancing techniques. Now many corporate, especially high HR oriented sectors like IT is now follow this type of practices to develop their employees. Infosys is a fine example for it. For employees to display loyalty, organizations must show a similar concern for them. Most organizations grossly underestimate the human need for appreciation. This erodes employee motivation and creativity. The organizations should not wait for others to change first. Be an active participant in this inevitable change. Everybody understand that customer always comes first and not our internal bottlenecks and constraints. As we struggle to overcome external market forces, our internal forces need to be our strength. All processes should be such that they emerge from the concept of handling internal constraints with the same sensitivity and responsiveness similar to the way we deal with external customers. Employees spend major part of their life in the organizations within which they works. When people join an organization, they bring with them the unique values and behaviours that they have been taught. Any organization with firmly established organizational culture would be taught the values, beliefs and expected behaviours of that organization. Just as society moulds human behaviours, an organization also moulds human behaviors that are in tune with the prevalent set of norms and behaviors. In this process, certain basic attitudes and beliefs about the people and their work situations are slowly but firmly accepted in the organization, which becomes its 'Organizational Culture.' Behaviour towards work-efficiency is largely controlled by internal ability and willingness to work hard. It is based on sincerity of participation, involvement, devotion to duty, earnest desire to work, and discharge of responsibilities with confidence and competence. Human behaviour is the outcome of frequent interaction between several value system and pattern of the interrelation of cultural traits. It is not a self-induced phenomenon. Employee's attitudes are reasonably, good predictors of human behaviour and the organizational culture. It provides clues to an employee's behavioural intentions and inclinations to act in a way. The culture of an organization is the sum total of negative and positive attitudes of organizational members. A strong culture, which is widely held by the organizational members, indicates a favourable attitude and a weak culture indicates unfavourable attitude of members towards the beliefs and norms of the organization. Employee's attitudes are the beliefs and feelings that largely determine how employee will perceive their work environment, commit them to intended actions and ultimately behave. Strong indicator of cultural variations in work environment then can be observed through human behaviour, which is the precipitation of dominant attitude. Attitudes comprise three elements: affect (feelings, emotions); cognitions (knowledge, beliefs, values); and behaviour. An integral and important component of an attitude concerns the values attributed to its contents. Values reflect how positively or negatively a person feels towards a specific object, event or relationship and, consequently, provides valuable insights into the nature of the employee-work relationship. Human attitude against prevailing value system is then a factor detrimental to organizational growth, organizational development and success. HRM is a management function that helps organization to recruit, select, train, develop and manage its members. HRM refers to a set of programs, functions, and activities designed and carried out in order to optimize both employee as well as organizational effectiveness. 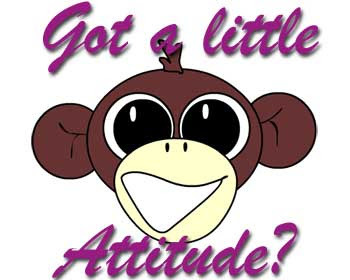 Attitude is one among the above areas which contributes to the organizational success. All attitudes are not discussed here. Only work related attitudes and its contribution to the success of the organization are considered. Attitude and organizational success are highly related. The ingredients of work related attitude and organizational success, the relation between them and other relevant details are discussed in this chapter. Individual possess hundreds of attitude. But there are mainly three work related attitudes. They are Job satisfaction, Job involvement, and organizational commitment. It refers to one’s feeling towards ones job. Individual having satisfaction will possess positive attitude towards the job. Dissatisfied people will have negative attitude. It refers to the degree with which an individual identifies psychologically with his or her job and perceives his or her perceived performance level important to self worth. It refers one’s attachment with the job. High degree of job involvement results in fewer absences and lower resignation rates. It is understood as one’s identification with his organization, its goals and feels proud of being its employee. Absenteeism and turnover are low when employees have organizational commitment. 3.4. Meaning of organizational success. It means attainment of ultimate objectives and winning the war not every battle. Organizations fail because of lack of desire, dedication, direction and discipline. All balloons do not go up in the air. Some go up as they are filled with special gas. Others do not, because it is filled with ordinary air or has nothing inside. The same principle applies organizations. It is what is inside the organization that counts. That is attitude. People can be the biggest asset or the biggest liability. The success of an individual, organization or country depends on the quality of their people. If people had their better attitudes, they would be better team players and it would cut down waste, improve loyalty and in general make their company a great place to work. Human beings can change their attitudes of mind. Changing the attitudes of people is not a magic. Just like a great building stands on a strong foundation, so does success. That is attitude. A study reveals that for a man's success, for example getting a job, the contribution goes to attitude which accounts for 85% whereas facts & figures accounts for the balance 15%. Three factors namely environment, experience & education determine an employees attitude. In a positive environment, a marginal performer's output goes up. In a negative environment a good performer's output goes down. In a corrupt environment, an honest person has a tough time whereas in an honest environment, the corrupt one has a tough time. The person with a positive personality is caring, confident, patient and humble. He is a fruit of all seasons. 3.5. Effect of positive attitude in an Organization.